Previously Google has contracted major brand OEMs to produce Nexus and Pixel phones using fairly standard off-the-shelf parts. But a teardown of Google's pricey new flagship reveals the company's first homegrown system on a chip – and it's currently idle. Google yesterday went into a little detail on the chip, describing it as "Google's first custom-designed co-processor for consumer products". However, it won't be turned on for developers until the Android 8.1 Developer Preview appears. It's currently only used by Google's own camera app for HDR+ image processing. Google claims the Visual Core boosts HDR+ processing by 5x with one-tenth of the power consumption the main Snapdragon SoC would use. 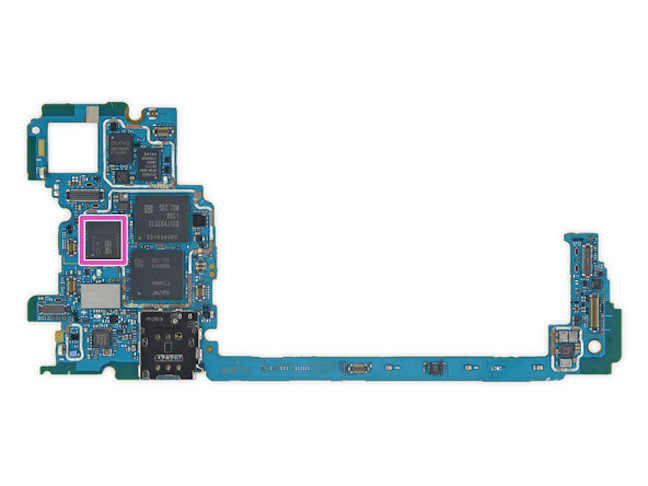 Google was prompted to disclose the information after iFixit's teardown confirmed the mystery silicon. Google announced its Titan chip for servers back in March. Wireless Watch thinks this is only the start, as the company was advertising for half a dozen very experienced chip engineers back in the summer. On the other hand the market provides so many options that investing heavily in custom silicon to produce only marginal advantages seems daft. Remember that Apple bought PA Semiconductor in 2008 and it's taken the best part of a decade, and a massive investment, to show a significant competitive advantage.